Florida Landlord Tenant Law is set forth in Florida Statutes at Part II, Chapter 83, Florida Residential Landlord Tenant Act. The Act governs the rights and responsibilities of both landlords and tenants. Even in event of a signed lease, the Florida Landlord Tenant Laws “prevail over what the lease says,” according to The Florida Bar Foundation. While it is strongly recommended that all parties to a tenancy sign a written lease, even with just an oral lease, the rights and responsibilities of all the parties are still bound by Florida Landlord Tenant Law. This information is not meant to substitute for legal advice. If you have issues or questions regarding Florida Landlord Tenant Law, it is recommended that you seek the advice of an attorney. Stay up to date on Florida Landlord Tenant Laws + Save money on tenant screening and other property management needs. Join AAOA today, it’s FREE! “Hold the total amount of such money in a separate interest-bearing account in a Florida banking institution for the benefit of the tenant or tenants, in which case the tenant shall receive and collect interest in an amount of at least 75 percent of the annualized average interest rate payable on such account or interest at the rate of 5 percent per year, simple interest, whichever the landlord elects.” The other option, provided for in 83.49(1) (a) allows the landlord the option to “Hold the total amount of such money in a separate non-interest-bearing account in a Florida banking institution for the benefit of the tenant or tenants.” The landlord must inform the tenant where the security deposit money is held and what, if any, the interest rate is. A landlord must return the security deposit to the tenant within 15 days after the termination of the tenancy, unless a portion or all of the security deposit is retained by the landlord as compensation for damages caused by the tenant. Florida Landlord Tenant Law provides under 83.49(3) (a) that if the landlord intends to retain any portion of the security deposit, that written notice is sent to the tenant’s last known address and the reason for imposing the claim. The statute also provides that “If the landlord fails to give the required notice within the 30-day period, he or she forfeits the right to impose a claim upon the security deposit.” Just because a landlord sends the written notice to the tenant does not mean that the landlord automatically has the right to retain any portion of the security deposit. The tenant has the right to file an objection to the landlord’s intent to retain the security deposit. The losing party is responsible for any related attorney fees and court costs. (1) If the rental agreement is terminated and the tenant does not vacate the premises, the landlord may recover possession of the dwelling unit as provided in this section. (2) A landlord, the landlord’s attorney, or the landlord’s agent, applying for the removal of a tenant shall file in the county court of the county where the premises are situated a complaint describing the dwelling unit and stating the facts that authorize its recovery. A landlord’s agent is not permitted to take any action other than the initial filing of the complaint, unless the landlord’s agent is an attorney. (d) When the last remaining tenant of a dwelling unit is deceased, personal property remains on the premises, rent is unpaid, at least 60 days have elapsed following the date of death, and the landlord has not been notified in writing of the existence of a probate estate or of the name and address of a personal representative. A tenant still has rights and may file an answer claiming defense to any action and may also bring action for a landlord who fails to keep the property in the manner prescribed under Florida Landlord Tenant Laws, 83.60, in which case a tenant can also allege a new claim or file action for retaliation by the landlord if the landlord retaliates for the tenant’s exercise of his or her rights under Florida Landlord Tenant Laws. Florida Landlord Tenant Laws are comprehensive, protect the rights and set forth obligations of all parties to a landlord-tenant relationship. Conducting proper Florida Tenant Screening and having proper Florida Landlord Forms on hand is one step to potentially lessen problems during a landlord-tenant relationship. All states require a variety of forms to rent an apartment to a tenant and Florida is no exception. Check out American Apartment Owners Association’s Florida Landlord Forms now. 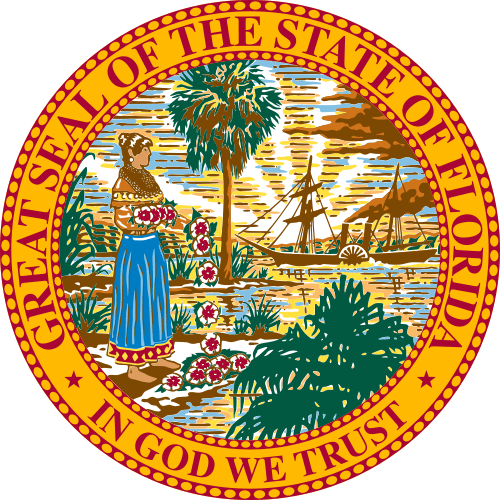 Looking for landlord tenant laws outside of Florida? The American Apartment Owners Association offers helpful landlord tenant laws for all 50 states. Click on any of the states listed below and go directly to its landlord tenant law page. To visit the homepage of landlord tenant laws, click here.